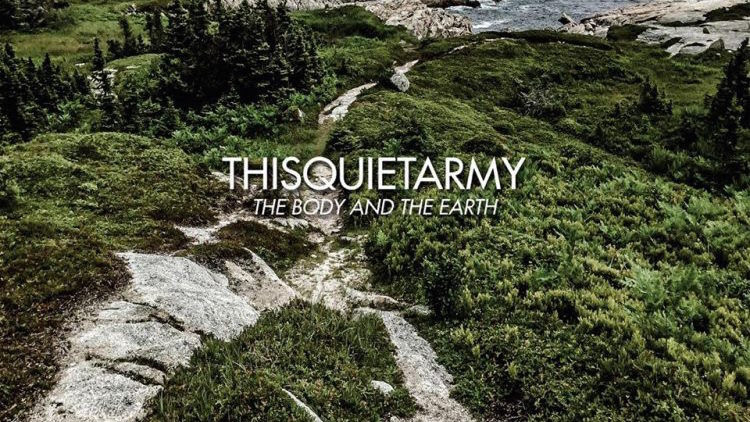 Montreal-based dark/drone group thisquietarmy are now streaming their entire new album “The Body and the Earth” ahead of its release this Friday, October 12th viaConsouling Sounds and A Thousand Arms. Listen to “The Body and the Earth” now via Cvlt Nation here. Following nearly fifty releases as a solo project, thisquietarmy new album “The Body and the Earth” marks the debut of their newly expanded line-up with Charly Buss (bass, trumpet) and Marc-Olivier Germain (synths, drums) joining mastermind Eric Quach (guitars). Pre-orders are now available at this location. To promote this new album, thisquietarmy will embark on an European tour as a full band including Reuel Ordonez on second guitar, full dates are listed below.